Medical Malpractice and Surgical Error Lawsuits | Craven, Hoover, & Blazek P.C. ← Did You Have a Car Accident in a Company Vehicle? Surgery is meant to improve or enhance a patient’s quality of health, life, and well-being. But what happens when a surgery isn’t necessary, and worse, causes injury or suffering to a person? This could possibly be an example of a medical malpractice case depending on the circumstances. 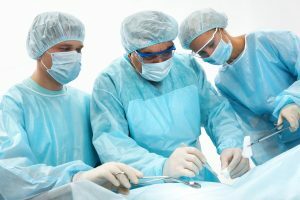 It is rare and difficult to prove a medical malpractice case because not all surgeries are guaranteed, protecting doctors and hospitals from becoming targets of malpractice lawsuits. On the other end of the spectrum, medical malpractice is a real thing and can happen to anyone. A common question about malpractice claims regards the extent of which a surgery was actually needed or necessary. Many patients of “unnecessary surgeries” are wondering if they have a valid claim against their doctors, surgeons, and medical organizations; especially if their surgery caused them extensive pain, suffering, and other damages, or went wrong in some way or another. Continue reading to learn a few brief facts about medical malpractice law and more. More than 40 million surgeries are performed each year. With numbers like these, there has to be a fraction of surgeries that have caused patients’ injuries or death. And although millions of operations are undergone year after year, not all of them are actually necessary. In fact, nearly half of all surgeries are not “necessary.” Many are cosmetic, voluntary, requested, and more. And many others are fully disclosed as tentative or trial operations to see if they can improve or enhance a person’s life and health. This is especially true for people with cancer, chronic health conditions, and orthopedic restrictions and complications. Since surgery comes with certain risks, patients take on a certain degree of personal responsibility in opting or agreeing to it. This protects doctors and hospitals from medical malpractice lawsuits so long as they did their part one hundred percent accurate and correct. If a surgery causes complications like blood clotting, damage to organs, hemorrhaging, or other exemplary risks, a lawsuit will not hold up in court. This is because the surgery causes these damages, not the negligence of the doctor, surgeon, or hospital. On the other hand, if a doctor or surgeon uses the wrong instrument, or makes a surgical error, (like removing the right kidney instead of the left), then a patient will most likely have a valid and strong medical malpractice claim. Malpractice law is very tedious and complicated, which is why it is strongly encouraged to seek professional legal counsel from a licensed and experienced personal injury lawyer. They retain the knowledge and facts to answer all your questions and make you feel comfortable moving forward with a claim. Trust an accident attorney for all aspects of your medical malpractice case. 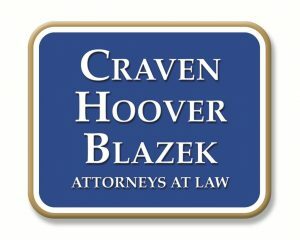 Call Craven, Hoover, and Blazek P.C. at 317-881-2700 for information about medical malpractice in Indianapolis, Indiana. Attorneys, Daniel Craven, Ralph Hoover, and Keith Blazek can answer all your questions about malpractice lawsuits, surgical errors, personal injury claims, and more. We offer free initial consultations never charge attorney fees unless we prevail for you. Call 317-881-2700 and speak with an Indianapolis personal injury lawyer, today. This entry was posted in Medical Malpractice and tagged accident attorney Indianapolis, accident lawyer Indianapolis, Indianapolis personal injury lawyer, malpractice lawsuits, Medical Malpractice, medical malpractice Indiana, medical malpractice lawsuit, medical malpractice lawyer Indianapolis, personal injury claims, surgical errors. Bookmark the permalink.